Tarun Gupta September 19th, 2007 Search Engine Optimization no comments. Be it proper link building, directory submission, content developing or stunt at the back hand; a big firm specialized in outsource seo assignments knows how to move and when to strike the fire. "If all men knew what others say of them, there would not be four friends in the world," says Blaise Pascal, renowned scholar and intellectual. However, when it comes to online battle of brands, things might not end up with the same conclusion. Being aware of the so-called competition; everyone here is restless to surpass their opponents by innovative methods. Here comes search engine optimization. Optimize your website regularly, develop according to the context and you are sure to count profit. Now, whom to select for optimization of your site? 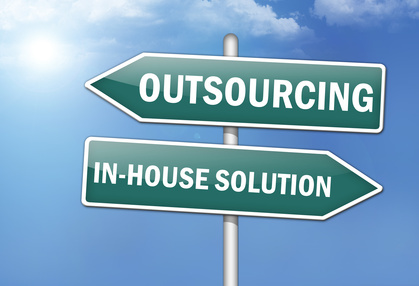 Whether you should outsource your seo assignment or rely upon someone, who will do it in home? Well, a little endeavor is made below to find the answer. What’s the ground reality when it boils down to implementing SEO? Outsourcing your SEO task is beneficial so is selecting an in-house expert. However, if you track down the facts; a whole new world of information would greet you with surprise. Research reveals that not too many people are actually aware of search engine optimization and its process. They simply overlook its importance and think any layman with a degree can do it on behalf of him. The decision may be sound; especially when you run a very small business of your own. But incase you are seriously looking for developing your business or in charge of an expanding firm; the right choice would be outsourcing SEO or hiring a dedicated SEO team. A SEO firm specialized in handling outsourcing seo projects generally possesses the skills that are essential for upholding the rank and status of any website. Such a firm always remains aware of every latest happening in the field of development. Add to this, it is the place where talents born, shine and develop. Be it proper link building, directory submission, content developing or stunt at the back hand; a big firm specialized in SEO Outsourcing knows how to move and when to strike the fire. All the aforementioned traits may not be available in a single person or it might be a tedious task for him to do all important things simultaneously. Apart from these, time management should also be a decisive factor behind outsourcing your SEO project. An in-house expert sitting alone may take a week to complete a task while a firm may need a day to finish the same. A quick work however doesn’t mean compromising with quality. If the seo firm which you have selected for outsourcing your seo projects has years of experience, it will surely deliver the best within deadline. The general rule of business is spend less and achieve more. Hiring an individual SEO will cost less than outsourcing your seo projects to any firm. But to get the best from the trusted, you can not always think about cost. An individual with his encyclopedia of trivia can be appointed in place of five. However he/she cannot always fetch you money with his alone power. Considering the above, it would not be wrong to say that outsourcing seo is perhaps the best choice than hiring an individual seo. An individual can promise you success but in the long run he may turn out as a man of mere words. Thus go for outsourcing seo firms, who are reliable and feel your pulse.